GDPR stands for General Data Protection Regulation and replaces the current Personal Data Protection Act (Wbp), as a result, only one privacy law applies throughout the whole European Union. 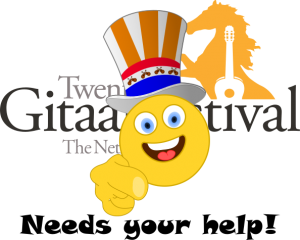 Twents Guitar Festival attaches great importance to the protection of your data and the data of your customers, this is why we have taken all the necessary technical and organizational action to protect your data and those of your customers. For you tickets and for the newsletter we store during ……. Period your data, so we can offer you our services. The newsletter is sent by us using Mailchimp, you can unsubscribe from the newsletter at any time by clicking on unsubscribe at the bottom of the newsletter, your details will also be automatically deleted. You will receive the newsletter if you have already given permission to receive it. For the ticketing we need your personal data, so that you are sure that you will receive the ticket and that it is valid. After a period of …. we delete this data again.